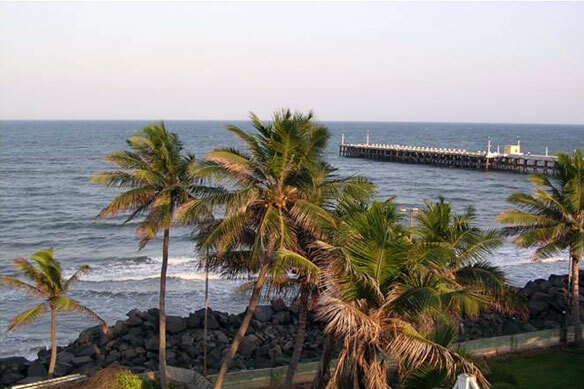 The town of Pondicherry lies on the eastern coast of the South Indian peninsula. About 100 km to the south of Pondicherry is the Cauvery delta, fed by the Cauvery River that flows from the west to east across the Indian peninsula depositing considerably large volumes of sand. The large input of sediment along the eastern coast of India resulted in the formation of large and wide sandy beaches, dunes and estuaries. Two monsoon seasons drive the sand and sediment up and down the eastern coast of India. The south-west monsoon season lasts for about 8 to 9 months from March to October, and the north-eastern monsoon season lasts for about 3-4 months during the remaining winter months. It is estimated that during the SW monsoon about 0.5 to 1.0 million cubic meters of sand are driven northwards by the waves, winds and littoral currents. The situation reverses itself during the NW monsoon and about 0.1 – 0.2 million cubic meters of sand is driven southwards. This uneven movement of sand or littoral drift along the coast results in a net movement and transportation of sand towards the north. 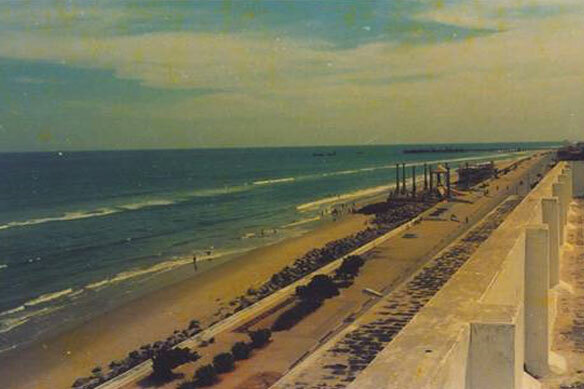 In 1989, the Government of Pondicherry received funds for the development of a small commercial harbor near Pondicherry at the mouth of the Ariyankuppam River. The design included a 350 m long jetty and breakwater at the harbor entrance and a sand by-passing system to help mitigate the impacts of erosion that an artificial structure along the coast would cause to the north of the harbor. This region north of the harbor, near Pondicherry and Tamil Nadu is densely populated. Unfortunately, Pondicherry harbor generated little revenue. This resulted in no available funding for the mitigation and sand by-passing system. Dredging occurs only when the harbor mouth gets choked with sand. This deepens the channel for the increasing number of fishermen who have adopted this harbor. 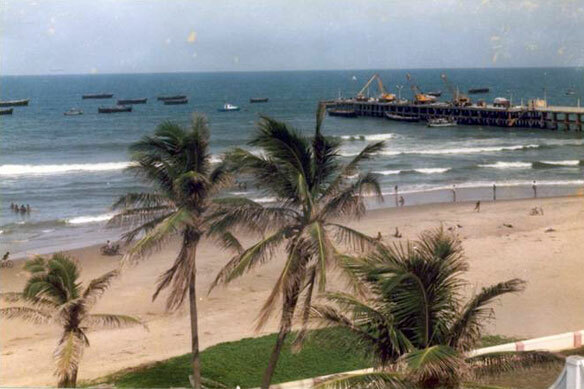 Due to the lack of dredging, mostly as a result of the lack of political will and bureaucratic hurdles the sand by-passing system was not fully implemented. As a result, the breakwaters at the harbor entrance have interfered and interrupted the littoral drift causing severe and extensive erosion to the north of the harbor. 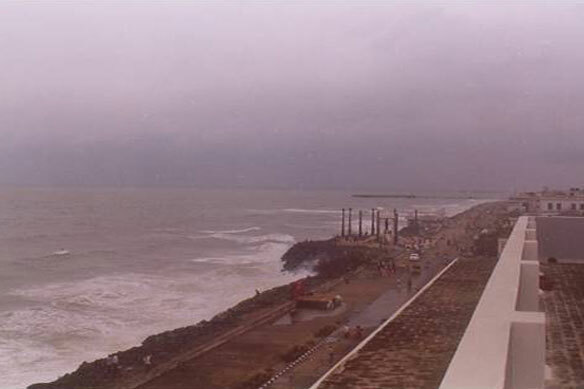 By the mid-late 1990s, the erosion of the Pondicherry coast was severe. Instead of utilizing the sand by-passing system, government agencies elected to armor the beach with large rocks, build a seawall, and construct several groins to protect the town. These measures did not address the root cause of the problem; the interruption of the littoral drift. 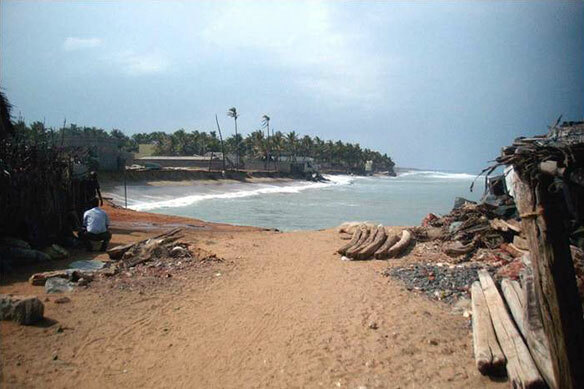 As a result of the use of hard coastal protection measures (instead of sand by-passing), up to 10 km of beaches to the north of the harbor have completely been lost and signs of coastal erosion can be seen up to a distance of about 30 km. It is estimated that the erosion is advancing northwards at a rate of about 500 meters a year. The erosion of this coast has resulted in the loss of beaches including 200 acres of coastal land and environment. Most importantly, erosion has destroyed the homes of poor traditional fishing families who live next to the sea. A government report states that about 35,000 fishing families are vulnerable to inundation from the sea. This land loss has severely affected their livelihoods as they use the beach space for all their activities. It has also caused saltwater intrusion into their aquifers, leading to shortages of drinking water. Erosion from poorly planned engineering activities has extended into the neighboring state of Tamil Nadu causing inter-state problems. The construction of more seawalls and groins is being considered by the government, but informed citizens and environmental groups such Pondy Citizens’ Action Network (Pondy CAN!) are trying to put an end to this man-made disaster. These groups are asking the government to take all the required measures to restore this coastal environment without hardened beach structures. 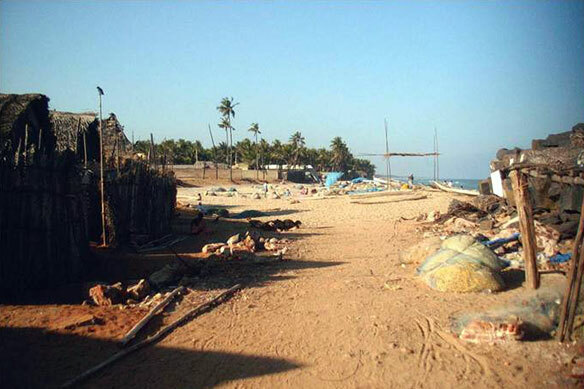 The erosion of Pondicherry beaches is not an isolated case along the Indian coastline; it is estimated that the Indian coastline has already lost about 25% (1,500 km) of its beaches due to anthropogenic factors. 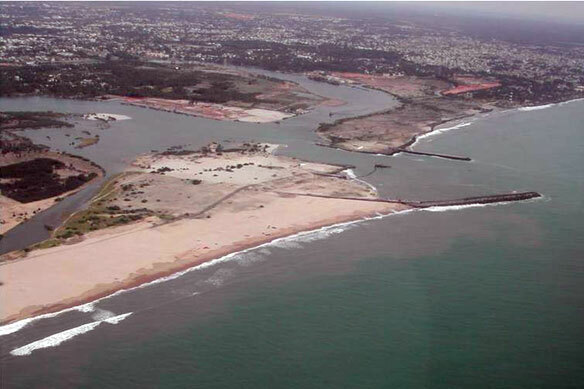 It is hoped that reversing the erosion caused in Pondicherry and restoring this part of the coastline could serve as a model and example which could be replicated in other parts of this country and region.